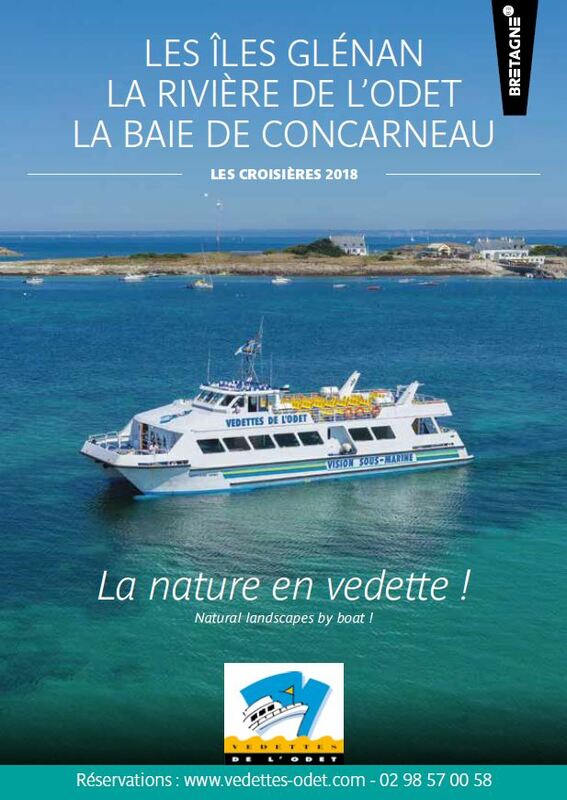 Cruises guide 2019 of the Vedettes de l’Odet, the indispensable leaflet for successful holiday. All the options of cruises with hours of departures, prices and access maps to the piers. 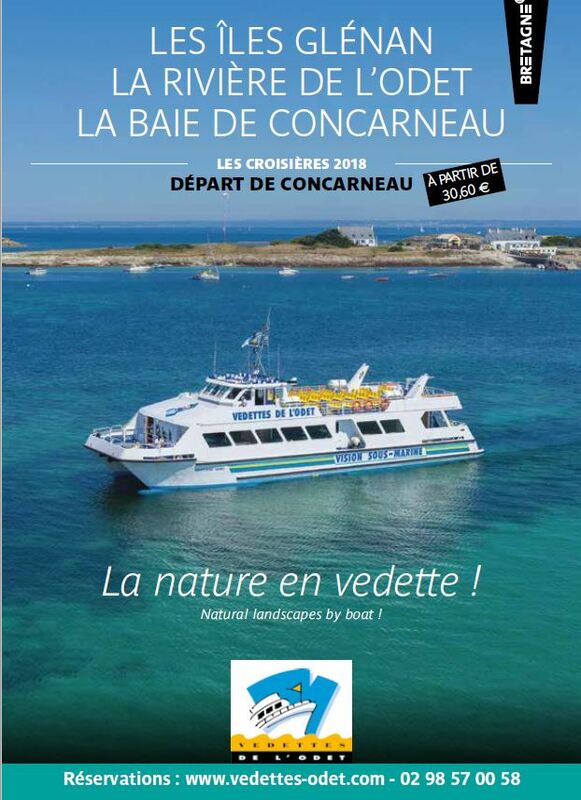 Consult all the available cruises from Concarneau: Glenan Islands, the Cruise commented in the bay of Concarneau, the sea link to Beg meil. Enjoy preferential prices to visit the Glenan archipelago, up to 15% discount on the Evasion option. 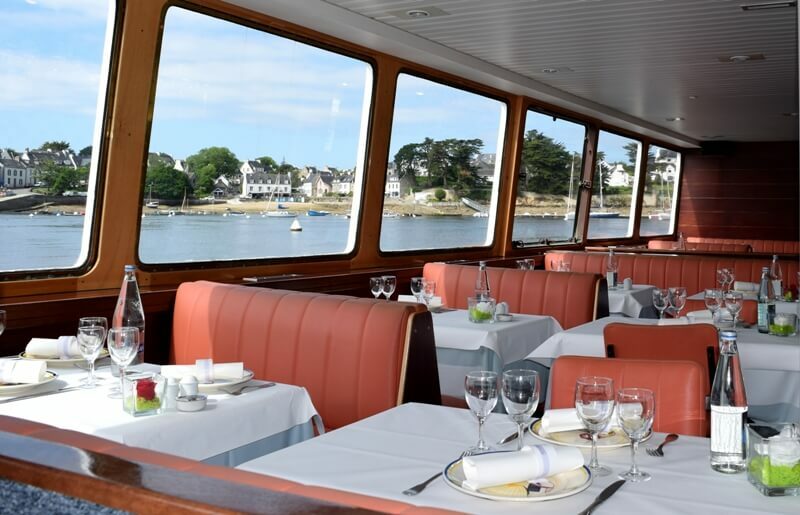 Consult the menus served aboard “Aigrette” restaurant boat, on Gourmet Cruise over the Odet river. Lunch cruise and dinner cruise: let yourself attempt! 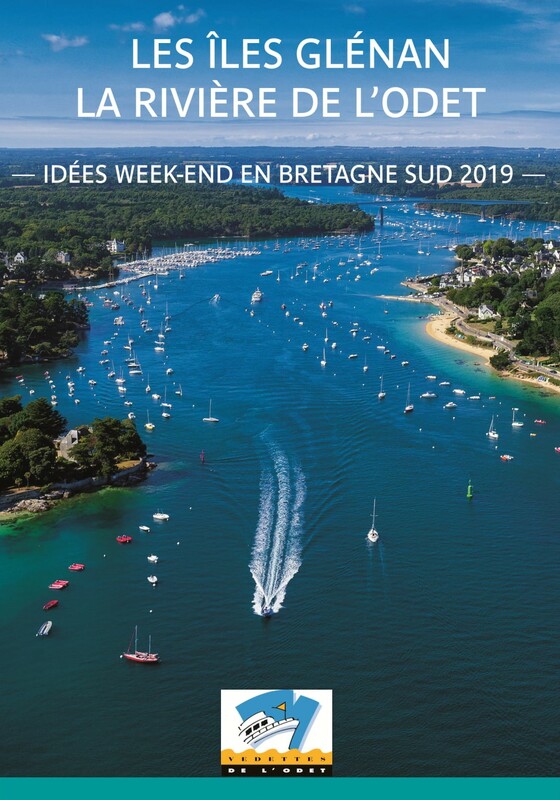 Prepare your next getaway in Southern Finistère! 2 days/1 night package at Bénodet in charming hotel 2 or 3 stars in half-board.